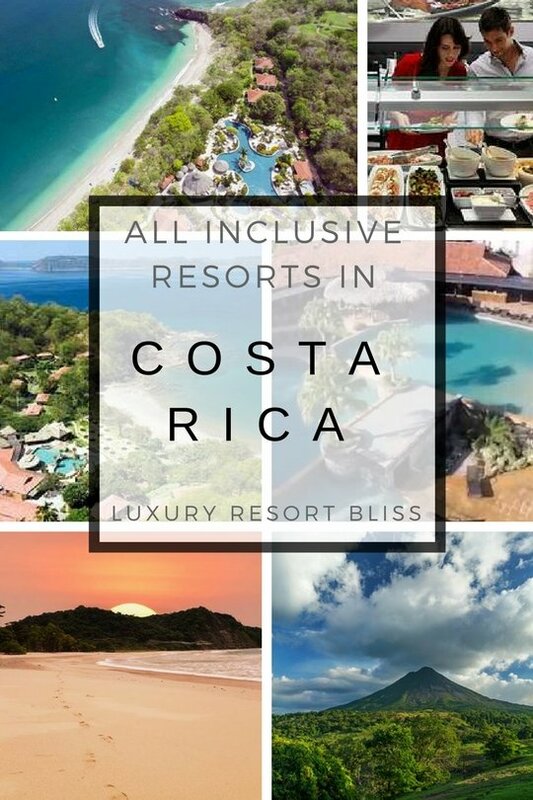 Costa Rica all inclusive resorts: whether you want pure relaxation, adventure in the rainforest or even a destination wedding, there are some fantastic choices here. We've listed the top all inclusive resorts in Costa Rica based on reviews of past guests, amenities and activities and all inclusive features. All that you need to plan your Costa Rica vacation. Plan your all inclusive Costa Rica vacation using Tripadvisor. Top resorts in Costa Rica by location (TA). Located on a tropical bay with Pacific Coast access. Definitely one of the foremost dedicated all inclusive resorts in Costa Rica (all inclusive at the time of writing). 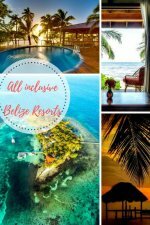 The resort is also a hit with past guests as well and receives good reviews in a part of the world not especially known for outstanding service. Four well-attended quality restaurants from healthy casual to more formal options offer a good choice of dishes and cooking demonstrations. An top notch spa has scores of treatment rooms as well as whirlpools, and a more private pool area. 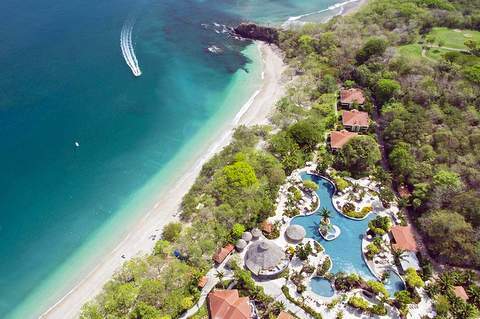 More information and special offers on the Hilton Papagayo All Inclusive Costa Rica Resort. Luxury 24-hour service is made possible because of the scale. With 538 rooms this is one of the biggest properties in the country. Activities including golf are plentiful and reviews to date indicate staff are more than capable of keeping everyone happily accommodated in style. A neat small option that possibly gets better reviews and ratings than many other resorts on this page is the Ylang Ylang Beach Resort at Montezuma. 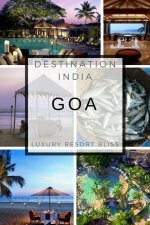 While it may not have all the facilities and amenities as the huge resorts quality and attention to service is second to none. One thing we especially like is the simplicity and quality of the packages. Meals for example, include one dish from the breakfast menu, one juice and coffee or tea at breakfast. While included at dinner is "one main course from the Dinner Menu, Vegan Menu or Raw Foods Menu." The recently built Riu Guanacaste on Mata Palo Beach in a savanah type landscape. A little different to the tropical jungle climate you may imagine of Costa Rica. This resort however vastly improved the five star Costa Rica all inclusive resort scene on opening. Fresh water swimming pool, a Jacuzzi, spa, activities and entertainment both day and night as well as a host of top quality restaurants which offer both buffet and opportunities to try various "themes" make this a "proper" all inclusive resort. The Riu Guanacaste All Inclusive while on the beach also offers opportunities to explore the nearby volcanic craters, forests and waterfalls of Palo Verde National Park. Five terrific dinning options ranging from Mediterranean to Asian, a disco and lots of other activities abound. More information and special offers on the Riu Guanacaste All Inclusive Resort. Located on the North-Pacific Riviera, with both Pacific Ocean and forest access. The prime location coupled with classy unlimited a la carte restaurants, a full range of top activities (including yoga and tai chi) make this an outstanding Costa Rica all inclusive resort. Rates are reasonable given the quality of service and kids rates are tailored to match the quality and quantity of service and amenities. Eco Golf Course, outdoor swimming pool, Jacuzzi, outstanding spa, cooking and sushi making, wine tasting, flower arranging, couple’s massage lessons, 4 bars and restaurants, Spanish lessons, snorkeling and catamaran tours, scuba lessons in the pool, tennis classes ($), sailing, water aerobics, golf ($), water polo, beach volleyball/ soccer, Yoga/ Tai-chi/ Pilates, kick-boxing ,nature walks, bird watching walks, bicycling tours, evening shows. The kids are well catered for as well. Video walk-through the The Westin Golf Resort & Spa. This luxury Costa Rica adult only resort consisting of 160 elegant rooms situated in 23 buildings. It is located in Guanacaste which is on the Northern Pacific coastline with spectacular bluffs lining the shore. There is a bit of walking to the beach if you don't mind a bit of exercise but otherwise this is a property up to scratch and definitely worth a mention - especially for couples looking to enjoy a time away free from children. NOTE: The resort reserves itself at the time of writing for adults only. More information and special offers for the Occidental Grand Adults Only-All Inclusive Resort. The Barcelo Langosta has a great all inclusive program and gets great reviews from past guests. Promoted as a place for sport and nature lovers by Clean Waters, this 5 star sustainable tourism winner is also a winner with us. More information on Barcelo Langosta Costa Rica All Inclusive Beach Resort. This resort offers 20 eco-friendly rooms and water activities and scuba diving opportunities. Look for the all inclusive packages. This quality, affordable Costa Rica all inclusive resort features four restaurants and bars as well as some Scuba and snorkeling, and full service spa opportunities. The resort an especially good resort for families with teens. The outstanding pool and and great service are often sighted as well above average in guest reviews. All-inclusive rates generally include meals in three restaurants, snacks, drinks, including an open bar in four bar areas. The resort receives average to good reviews and is a property to keep in mind if you are looking at the budget end of the luxury market. The Doubletree Resort Puntarenas is a beachfront family all-inclusive resort hotel outside of Puntarenas, Costa Rica. Canopy and bird watching, rafting, horseback riding, trekking, snorkeling, surfing, and other Costa rica adventures are nearby. More information and reviews for Doubletree Resort. See also the best Belize, and Costa Rica Golf resorts.